Who knew that a photography game could be so fun? 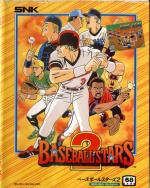 Also out today is perhaps the best baseball game of all time - Baseball Stars 2 for Neo Geo. Fast-paced action mixed with great visuals and a ton of flair make this an enjoyable game for any fan of the sport. And heck, even those who don't like the sport should check it out. 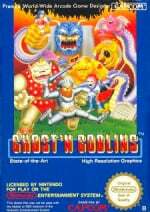 Today's final game is the last game in the Ghosts 'n Goblins/Ghouls 'n Ghosts series - The original, Ghosts 'n Goblins. It hasn't held up well compared to it's sequels, but if you like the franchise you should still find this pretty enjoyable. Well, now that we have the three VC-eligible G'nG games, Capcom, how about giving us some Demon's Crest? When are we gonna get Mega Man, Bubble Bobble and Vectorman? I hope you guys get KoF94 soon because its the best (or the second best) fighter on the VC. Not today... today, it's Ghosts 'n Goblins and it will kill all of us. Even though I've already played it, I was kind of hoping we'd get Light Crusader today. Baseball Stars 2? Where is Baseball Stars NES? aka the greatest video sports game ever made. Period. This is a pretty good week and all, but I am still really mad about not having KOF. They're not gonna come out with the Mega Man games because they have them all in 2 separate game packs for just $20. There are still two more weeks before Christmas. Hopefully they'll make available bubble bobble before christmas. I don't know what Nintendo is thinking giving us a summer sport (baseball) in the winter. At least the Pokemon fans have something to look forward to. Oh man, Drake, if you're right, I can't wait for some Panel de Pon Pokemon action! Of course I always liked Tetris Attack and it's Yoshi-dom better but I'll be happy to own both of them. Shouldn't Baseball Stars 2 be better than Baseball Stars on the NES? i agree with jon - want to see baseball stars for nes. and super tecmo bowl. OMG, they are releasing all the bad games for Neo Geo, as I feared. Why Baseball Stars 2, when there are plenty of sports games out there??? i want the classic fighting games!!! Fine, start with KOF 94, so Nintendo can make it's money on the pr equals. Give us the fighting games!!!!!!! NES baseball stars allowed you to create and build up your team. You also could play a regular season of up to 125 games (pretty sure that # is accurate...), and it kept stats. GREAT week! Some weeks, there are games I wouldn't touch with a 15-ft pole, but other weeks I'd HAPPILY buy all 3! This is one of the latter weeks!! ED, the NeoGeo releases will be flooded with fighting games soon. SNK are trying to show us that the NeoGeo isn't strictly about fighting games by giving us other genres. I have Pokemon Sanp on my N64. Why would I buy it again? nobody is telling you to fhag. its for people who don't have the game anymore and want to play it again and those you have never played it. Well said rich and Jon... Baseball Stars (one) is one of the funnest baseball games of all time. I downloaded BS2 today just because of my fellings on Baseball Stars (one). I was so dissapointed... BS2 is terrible! It has the quirkyness of the first one, but all the fun stuff that involved modifing your roster are GONE!? That was 90% of the fun in the game! BS2 is god awful and anyone that thinks it is a fun game is on the NeoGeo payroll. Why is Nintendo messing around with these garbage games? Just release good stuff like Cobra Triangle, Crystalis, Baseball Stars (one), Basewars. I mean they got my 9bucks for BS2 but, it will be the last cash they get from me if all they release is junk like it in the future. Brass X....You would think, you would think... Sadly... NO! I'm sure the next N64 game will be Super Smash Bros., the original. Brawl will be released in February, I'm sure Nintendo will release the original Smash before. The VC N64 collection is great. Ten Nintendo games. I sure hope that when Pokemon Stadium becomes avaliable for the VC, there should be a choise of also getting all 3 GameBoy games to go allong with it too. Just so people out there can experience Pokemon Stadium at it's full potential. Pokémon snap here in Australia . 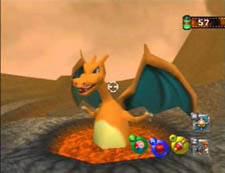 I think Nintendo will think of a way to bring the other Pokemon games for the VC. It just may take some time. Eh... RBI Baseball > Baseball Stars by aeons and aeons.